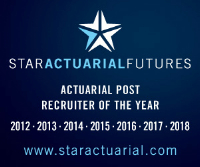 These Terms and Conditions govern your use of the Actuarialpostjobs (“Company”) website and your relationship with the Company. This document also documents our data protection policy and the rights of individuals that the Company engages with (“Data Subjects”) in respect of personal data under the General Data Protection Regulation (“Regulation”). A ‘Data Subject’ may be an individual or an individual acting on behalf of a body corporate (i.e. a company director).